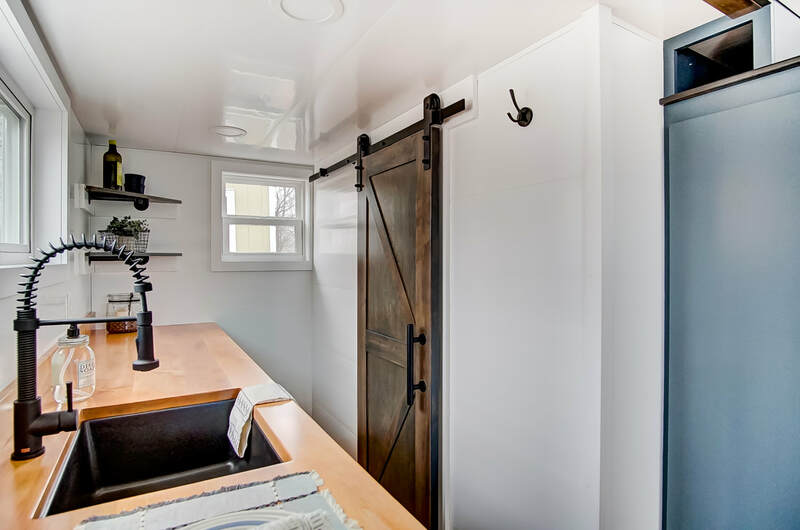 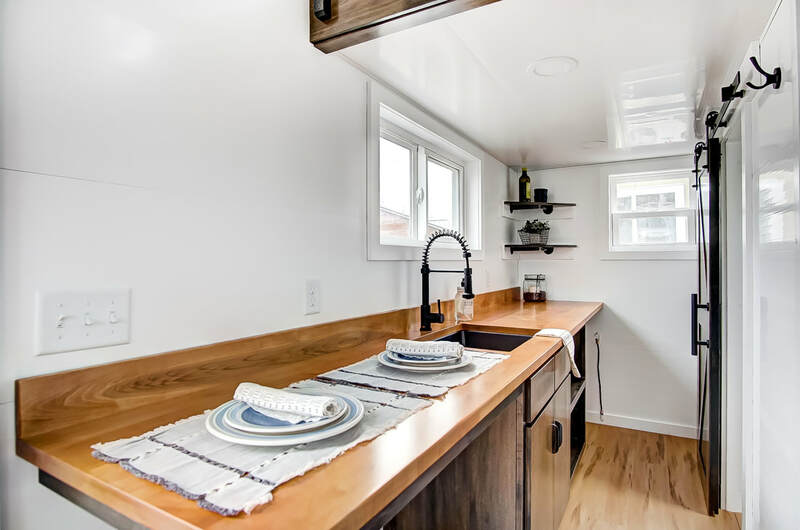 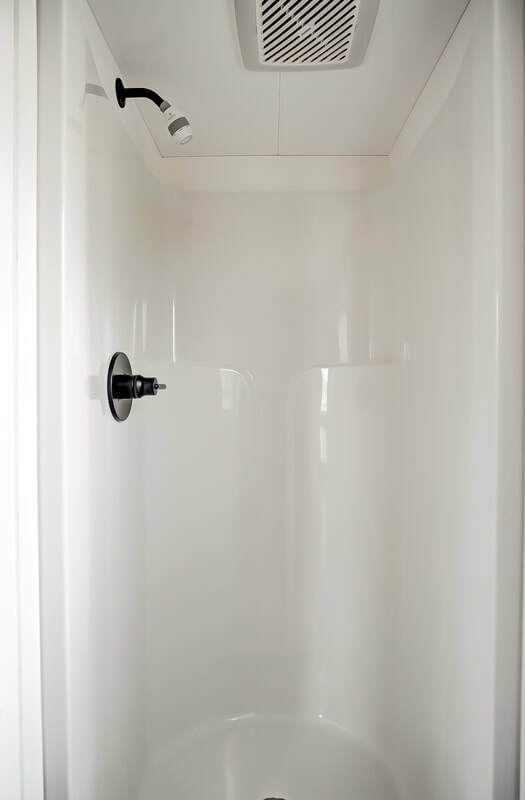 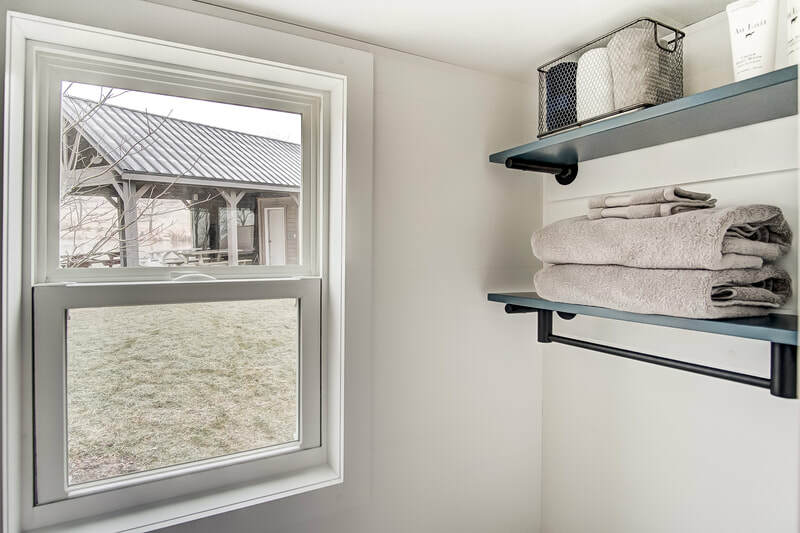 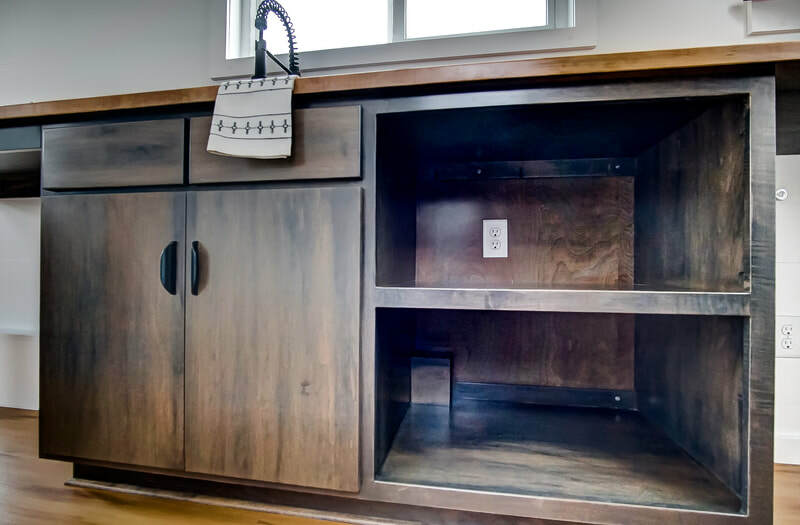 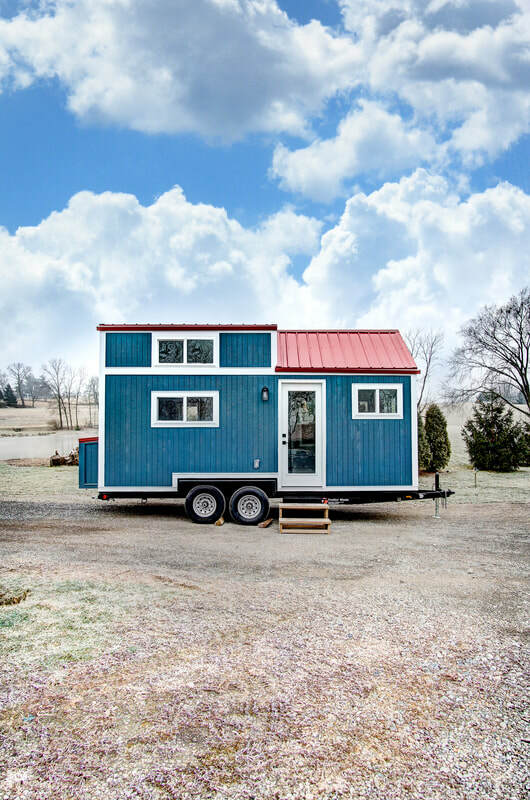 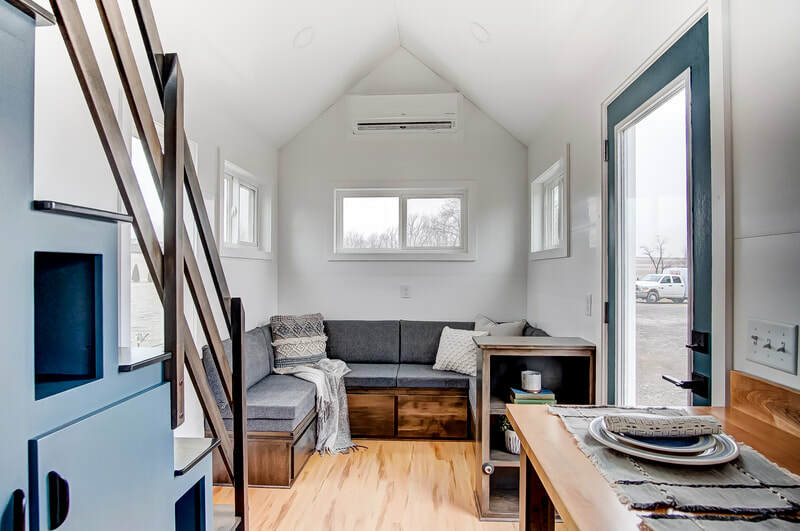 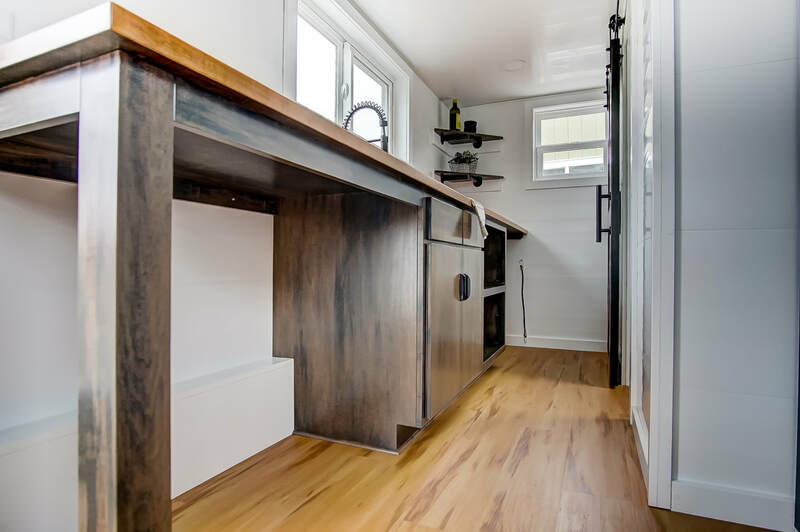 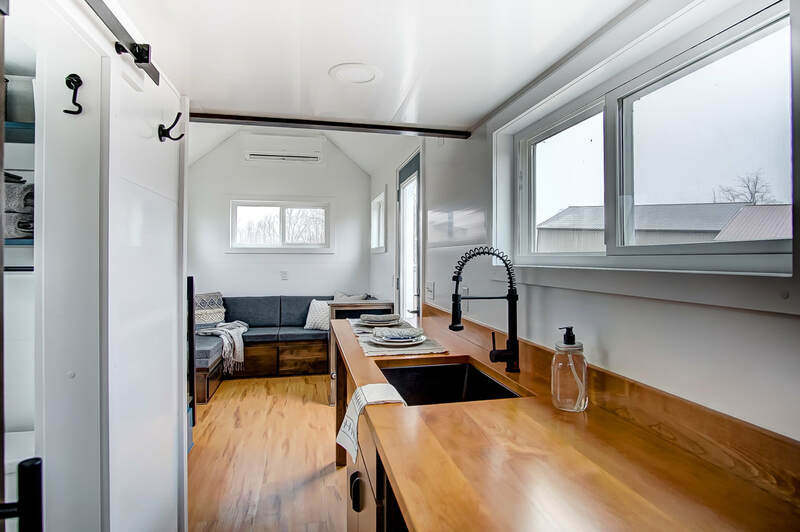 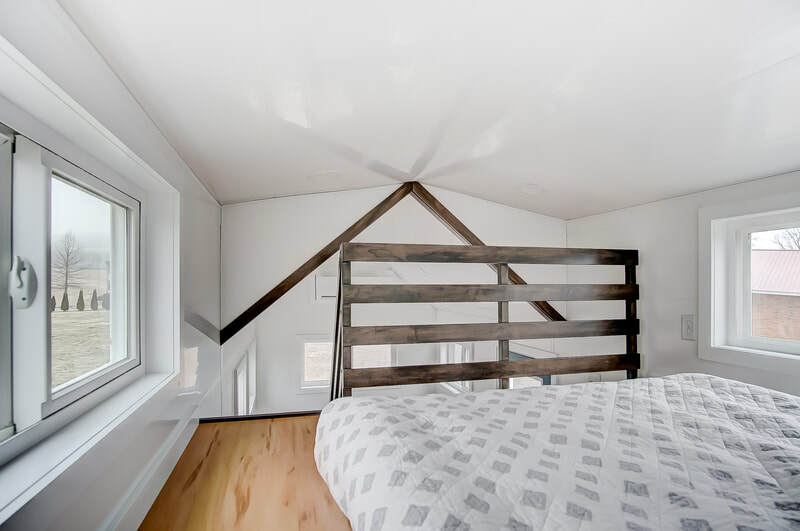 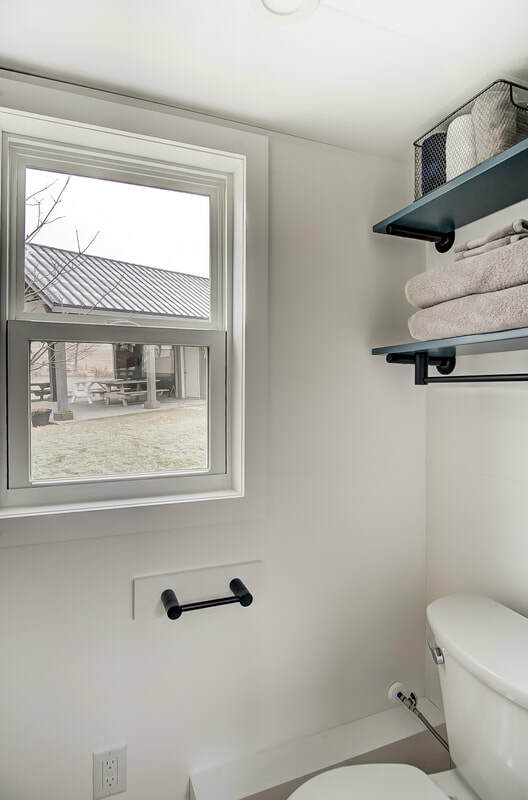 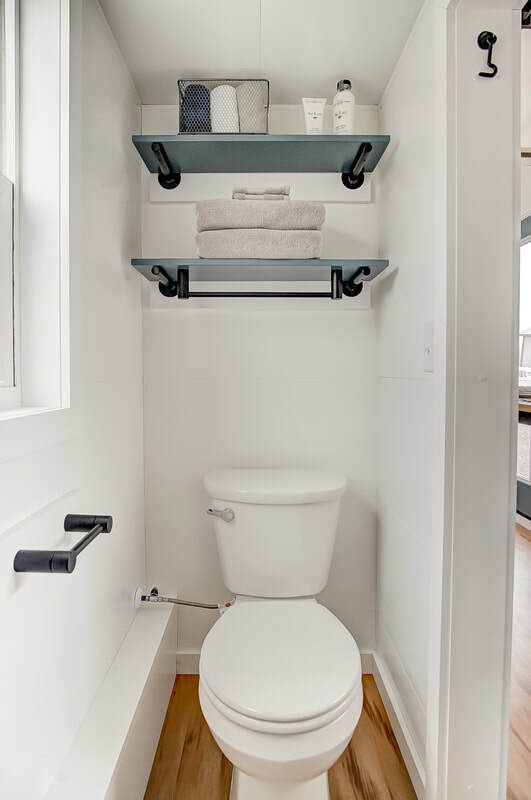 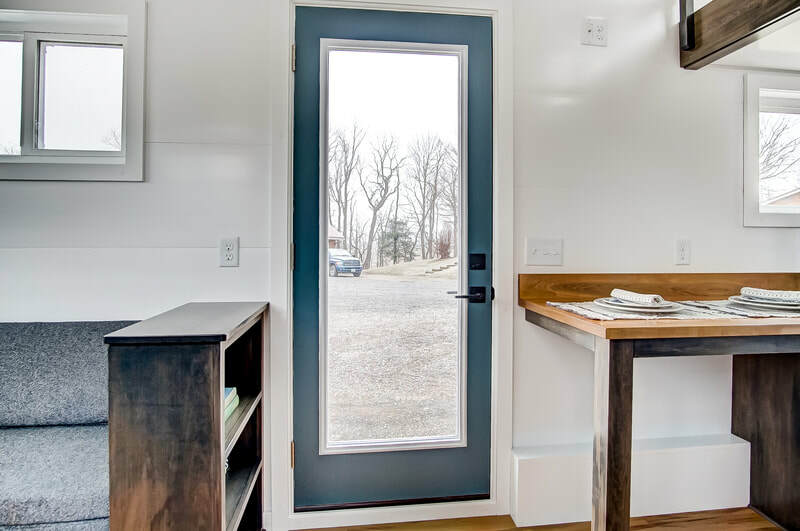 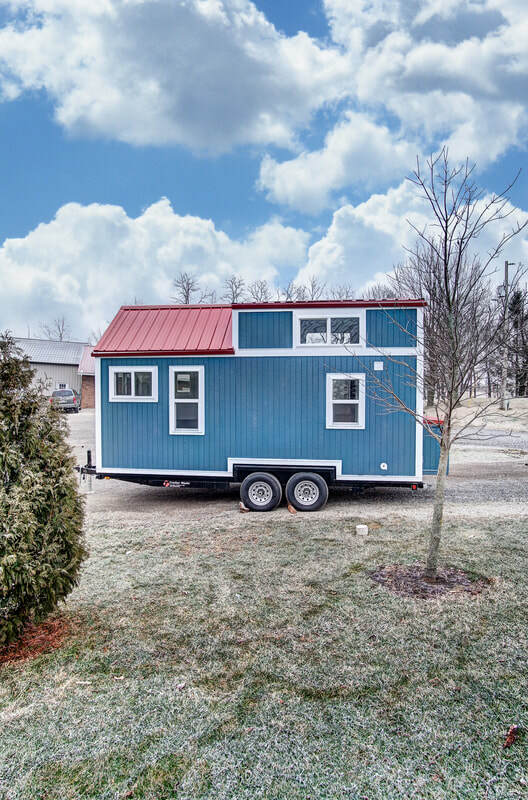 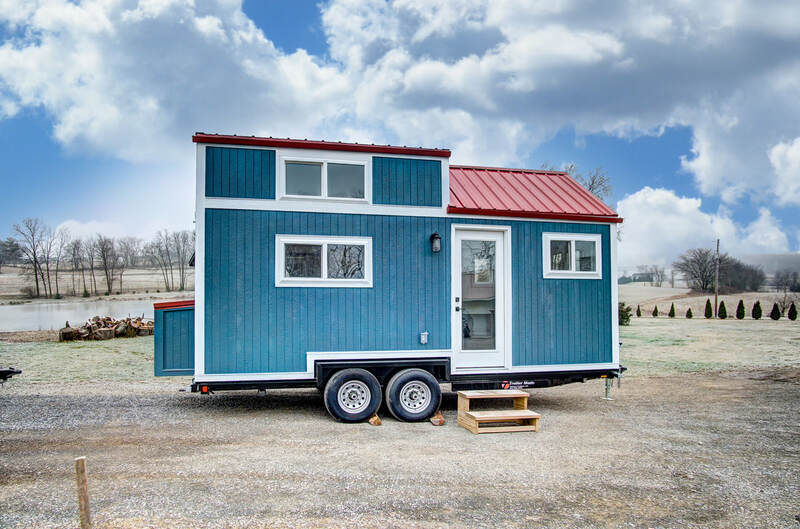 Nags Head, the most recent creation by our design and build team at Modern Tiny Living, is a gorgeous rendition of our most popular 20 ft. model, the Point. 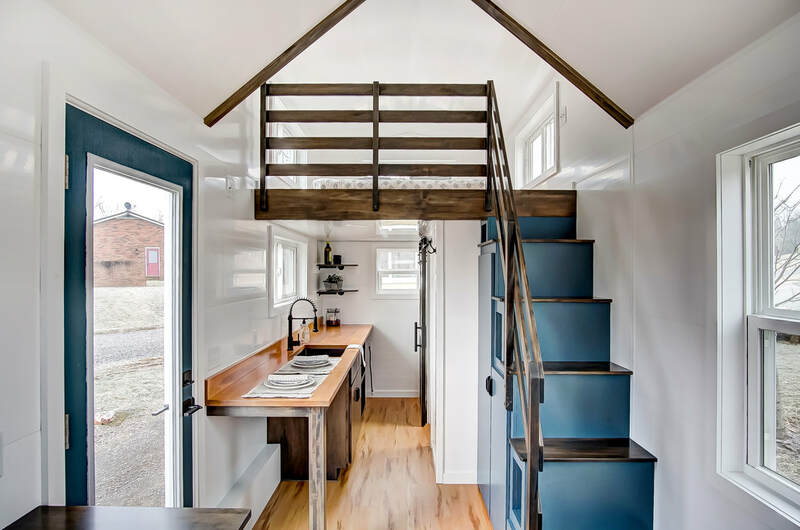 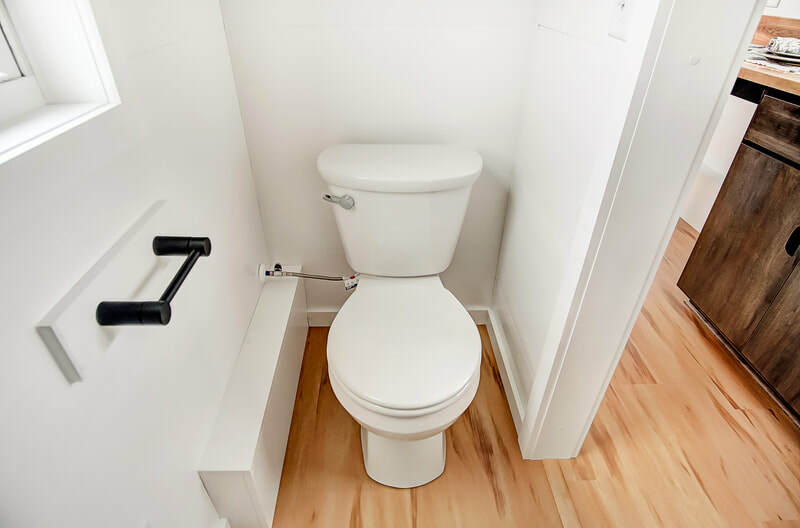 Nags Head features a serene and warm color scheme, with aqua blues, beautiful wood, and a white interior. 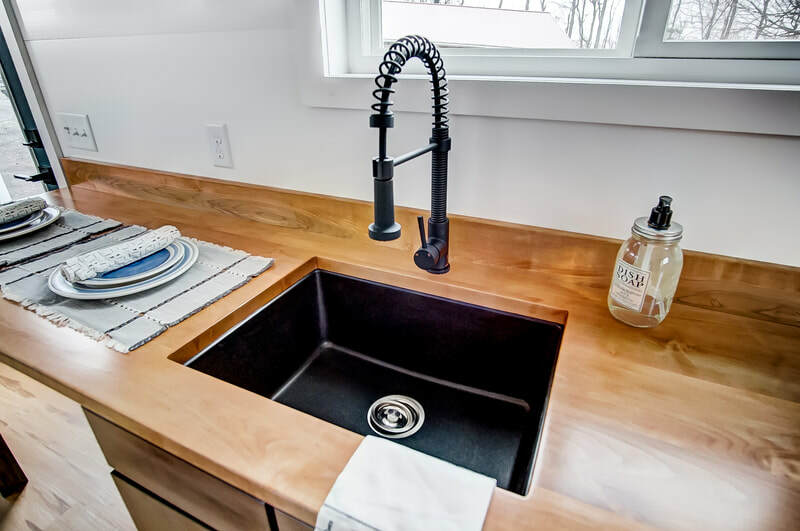 The dark wood finishes and lighter butcher block countertop finish out the design scheme beautifully. 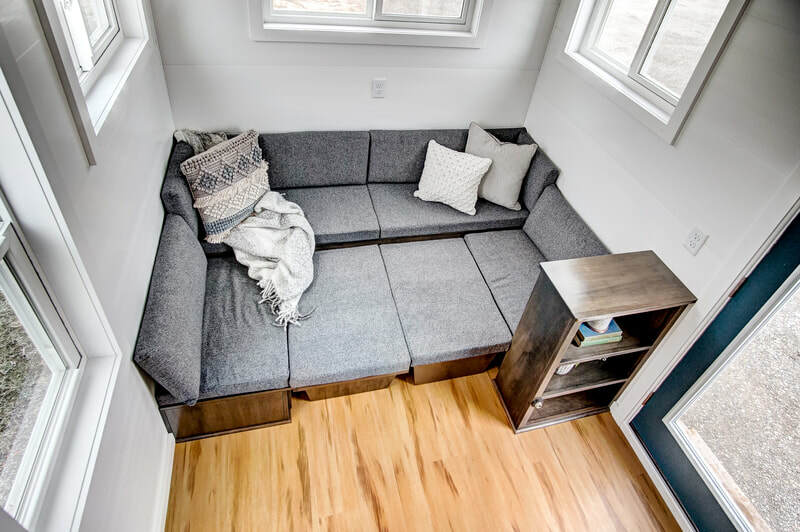 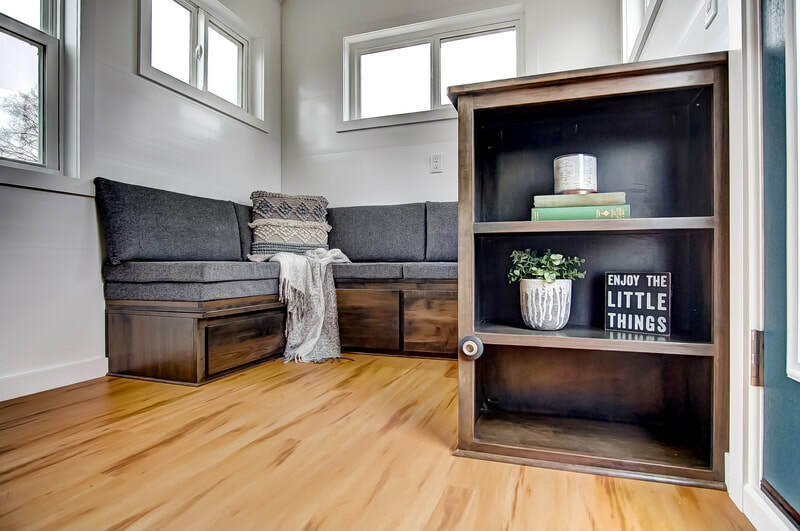 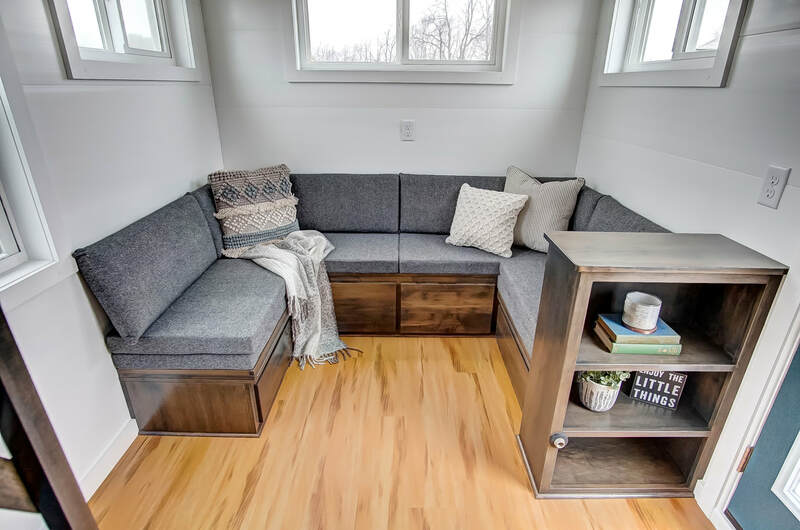 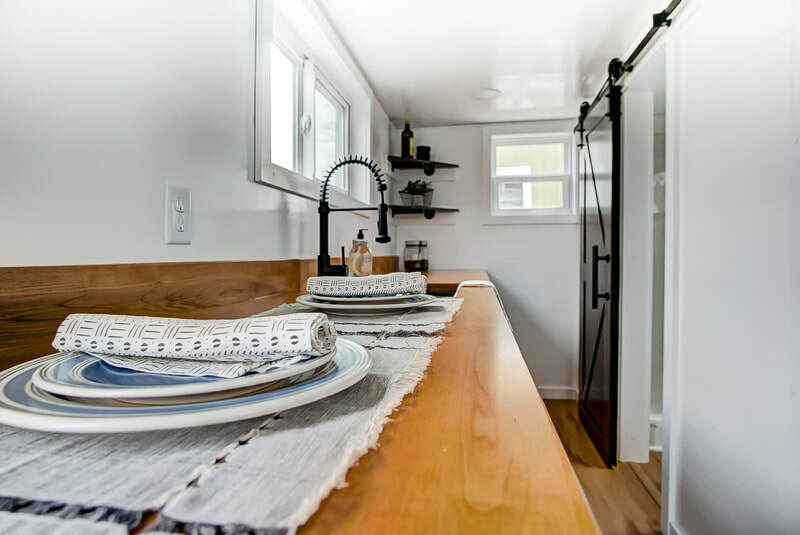 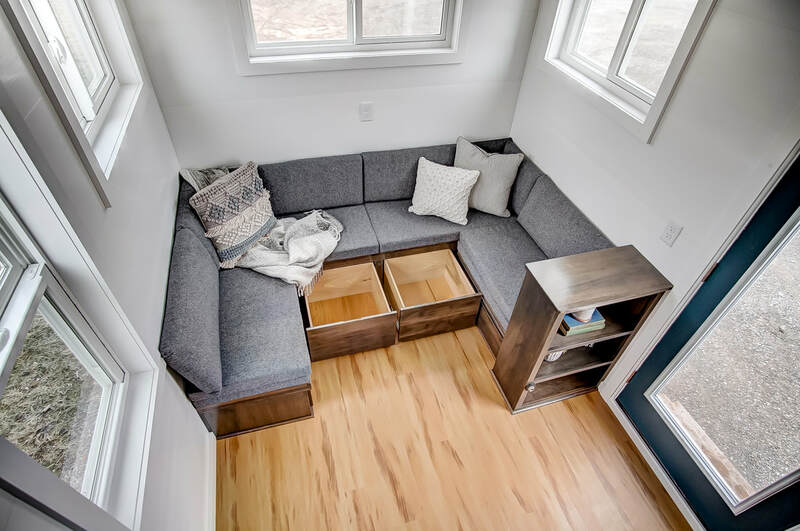 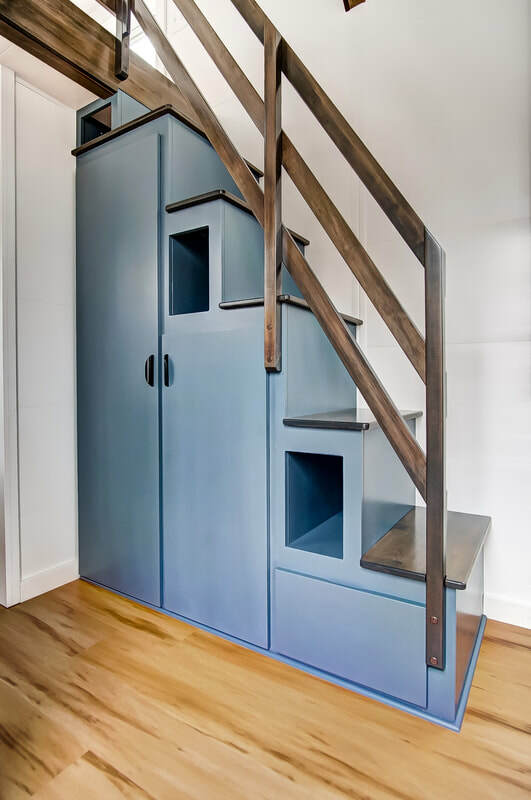 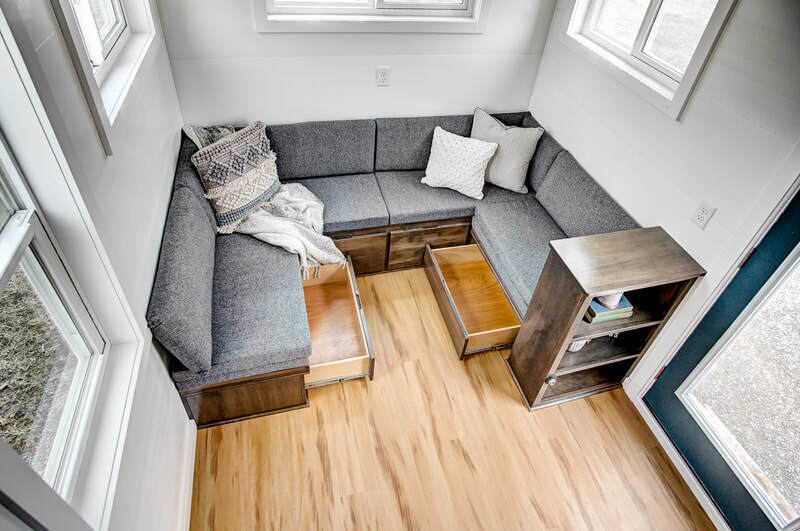 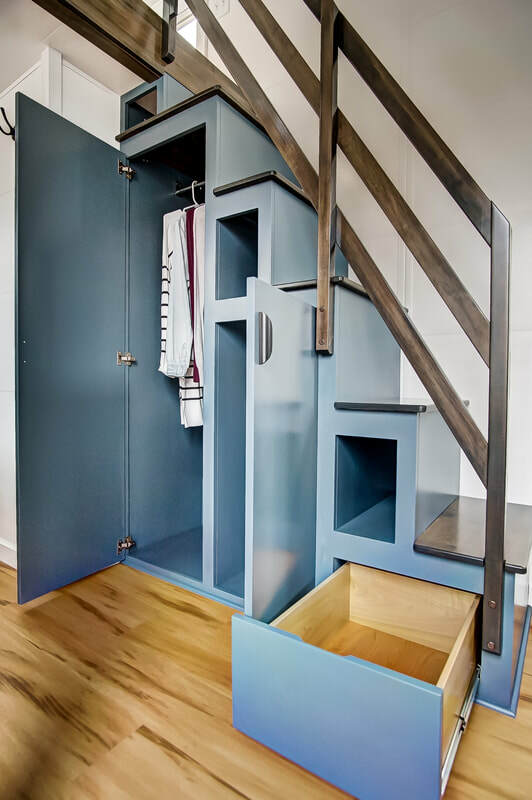 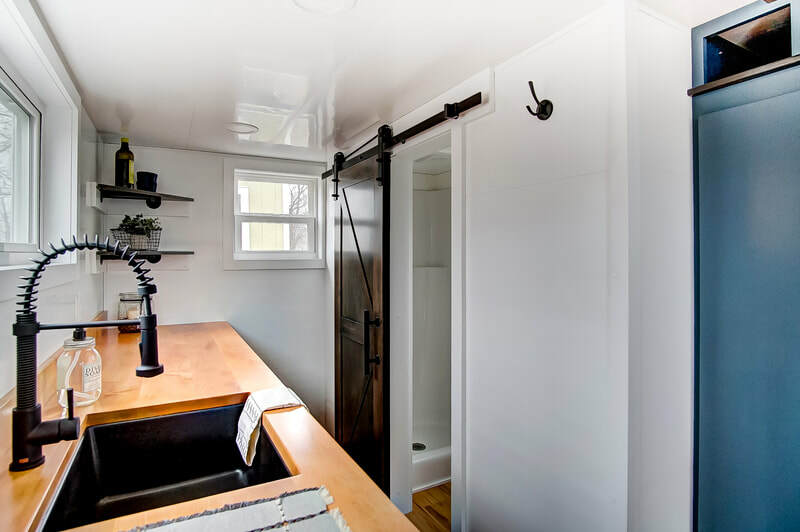 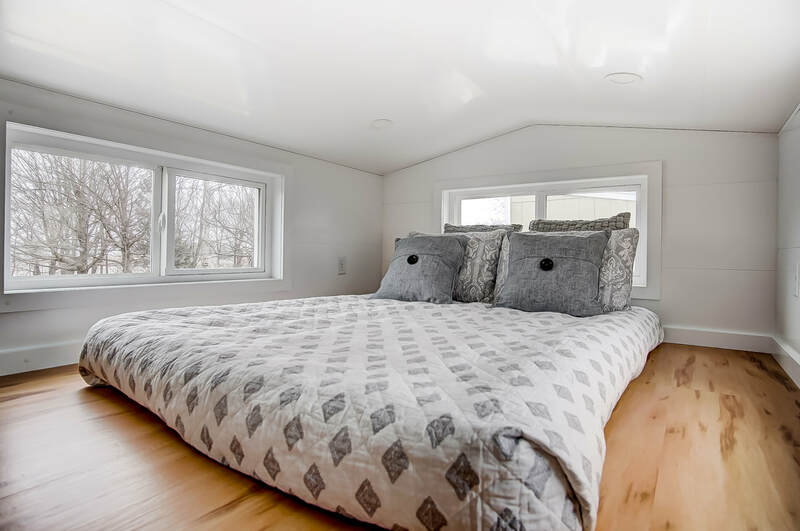 Nags Head also features Modern Tiny Living's ever-popular social area, which can easily sit 6 around a table, store tons of stuff, and of course, turn into a bed for a sleepover! 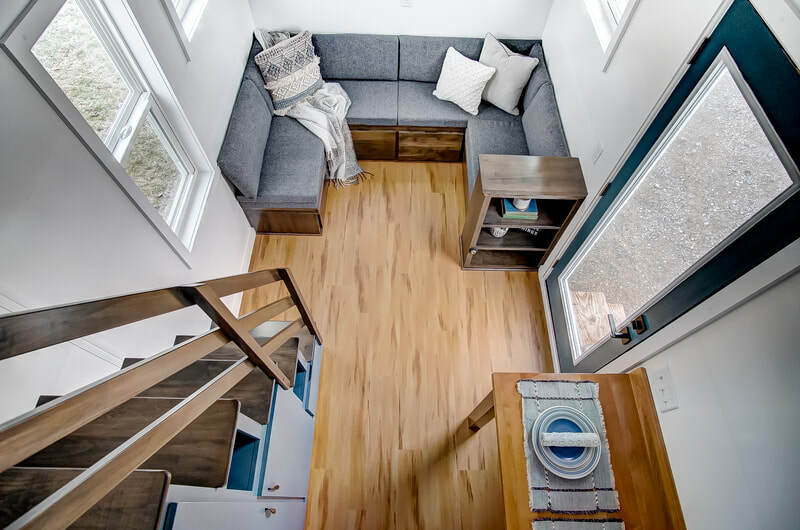 WANT MORE INFO ON NAGS HEAD?